Baylisascaris worms are intestinal parasites found in a wide variety of animals. Different species of Baylisascaris are associated with different animal hosts. For example, Baylisascaris procyonis is found in raccoons and Baylisascaris columnaris is an intestinal parasite found in skunks. Cases of Baylisascaris infection in people are not frequently reported, but can be severe. Baylisascaris procyonis is thought to pose the greatest risk to humans because of the often close association of raccoons to human dwellings. In the United States, infected raccoons have been found in a number of states, especially in the mid-Atlantic, northeastern and Midwestern states and parts of California. Eggs passed in raccoon feces are not immediately infectious. In the environment, eggs take 2 to 4 weeks to become infectious. If raccoons have set up a den or a latrine in your yard, raccoon feces and material contaminated with raccoon feces should be removed carefully and burned, buried, or sent to a landfill. Care should be taken to avoid contaminating hands and clothes. Treat decks, patios, and other surfaces with boiling water or a propane flame-gun (exercise proper precautions). Prompt removal and destruction of raccoon feces before the eggs become infectious will reduce risk for exposure and possible infection. Young raccoons become infected by eating eggs during foraging, feeding, and grooming. Adult raccoons acquire the infection by eating rodents, rabbits, and birds infected with the larvae of Baylisascaris. Infected raccoons have been found throughout the United States, mainly in the Midwest, Northeast, Middle Atlantic, and West Coast. Raccoons are peridomestic animals, which means they live in or around areas where people live. Roundworm eggs are passed in the feces of infected raccoons. Raccoons defecate in communal sites, called latrines. 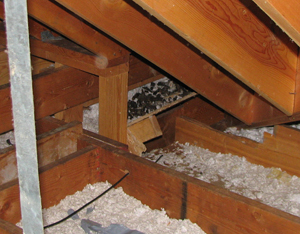 Raccoon latrines are often found at bases of trees, unsealed attics, or on flat surfaces such as logs, tree stumps, rocks, decks, and rooftops. As more raccoons move into populated areas, the number and density of their latrines will increase. While raccoons are the roundworm’s primary host, other types of animals can become infected. Birds and small mammals, such as rodents and rabbits, are susceptible to the parasite. Unlike raccoons, these animals sometimes show signs of infection, such as muscle spasms, tremors, and progressive weakness; infection can lead to death. Predator animals, including dogs, may become infected by eating an animal that has been infected with Baylisascaris. In some dogs, Baylisascarismay develop to adult worms and pass eggs in the dogs’ feces. The worms develop to maturity in the raccoon intestine, where they produce millions of eggs that are passed in the feces. Eggs that are excreted by raccoons are not immediately infectious. These eggs must develop in the environment for 2 to 4 weeks, after which the eggs are able to cause infection. The eggs are resistant to most environmental conditions and with adequate moisture, can survive for years. 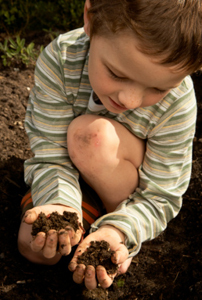 Young children are at risk for Baylisascarisinfection as they may be more likely to put contaminated fingers, soil, or objects into their mouths. Humans become infected by ingesting embryonated (fertile) eggs. Anyone who is exposed to environments where raccoons frequent is potentially at risk. 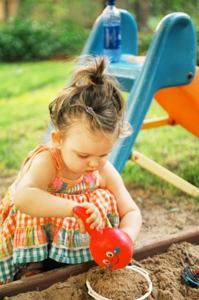 Young children or developmentally disabled persons are at highest risk for infection as they may be more likely to put contaminated fingers, soil, or objects into their mouths. Hunters, trappers, taxidermists, and wildlife handlers may also be at increased risk if they have contact with raccoons or raccoon habitats. Fewer than 25 cases of Baylisascaris disease have been documented in the United States. However, it is possible that some cases are incorrectly diagnosed as other infections or go undiagnosed. Cases that are diagnosed tend to be severe. Cases have been reported in California, Illinois, Louisiana, Massachusetts, Michigan, Minnesota, Missouri, New York, Oregon, and Pennsylvania. As of 2012, there were 16 published human neurological cases in the US; six of the infected persons died. Baylisascaris infection can be prevented by avoiding contact with raccoons and their feces. Washing your hands after working or playing outdoors is good practice for preventing a number of diseases. Do not keep, feed, or adopt wild animals, including raccoons, as pets. Infection rarely causes symptoms in raccoons, so you cannot tell if a raccoon is infected by observing its behavior. Roundworm eggs passed in the feces of infected raccoons are not visible to the naked eye. Eggs can only be seen using a microscope. Raccoons may use sandboxes as a latrine. Keep sandboxes covered when not in use. If you have found a raccoon latrine near your home, cleaning the area may prevent possible infection. Newly deposited eggs take at least 2-4 weeks to become infective. Prompt removal and destruction of raccoon feces will reduce risk for exposure and possible infection. A raccoon latrine found in an attic. Courtesy of Dr. Shira Shafir. 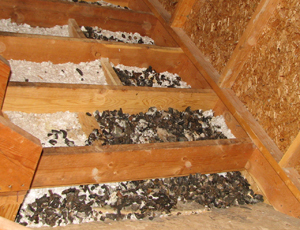 A close-up of raccoon feces found in an attic latrine. Courtesy of Dr. Shira Shafir. If you choose to clean the site yourself, care should be taken to avoid contaminating hands and clothes. Wear disposable gloves to help prevent cross contamination. Wear a N95-rated respirator if working in a confined space to prevent accidental ingestion of eggs or other harmful materials. Avoid stirring up dust and debris- you can lightly mist the latrine area with a little water from a spray bottle to reduce the amount of dust. Wear rubber boots that can be scrubbed or cover your shoes with disposable booties that can be thrown away, so that you do not bring eggs into your household. Feces and material contaminated with raccoon feces should be removed and burned, buried, or sent to a landfill. Most chemicals do not kill roundworm eggs; however, heat kills the eggs instantly. Treat feces-soiled decks, patios, and other surfaces with boiling water or a propane torch (please contact your local fire department for regulations and safety practices). To help further reduce the risk of possible infection, wash your hands well with soap and warm running water. Clean/launder your clothes thoroughly with hot water and detergent. If you are cleaning an indoor raccoon latrine and are not able to use a propane torch, use a damp (but not wet) sponge to wipe the area with hot soapy water. Rinse your sponge frequently. After you are finished, flush dirty water down the toilet. Place the sponge in a plastic bag and put the plastic bag in the garbage. Contact your local animal control office for additional assistance. Dogs may be infected with adult B. procyonis roundworms, but may not show symptoms. Have all pets de-wormed under a veterinarian’s supervision and take precautions to avoid contact with their feces. Raccoons and dogs are not the only hosts of Baylisascaris. B. procyonis infection has also been documented in kinkajous. Other animals such as coatis may be susceptible. When wild animals are kept as pets, there can be a risk of disease transmission to humans.